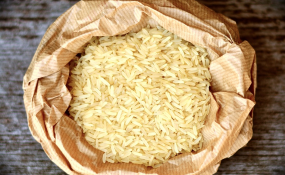 Contrary to the report that says Nigeria produces 4 million tons of rice, the Rice Farmers Association of Nigeria (RIFAN) says it has established that instead, Nigeria being the largest producer of rice in Africa is producing 8 million tons of rice annually. The RIFAN President, Aminu Goronyo who disclosed this said Nigeria has two rice farming season, in each season according him, 4 million tons of rice is produced. He said the annual rice production of Nigeria is put at Eight million tonnes annually with twelve million farmers engaged in the production of the commodity. Goronyo said Nigeria has no option than to put a total ban on rice importation before the end of this year. “We have two cropping seasons of production and each season we produce an average of 4 million tons that will give you 8 million tons per annum”, Goronyo said. He added that the association is collaborating with the federal government towards reducing the cost of production which will as well bring down the price of milled rice in the market. “We have enough paddy in ground, the same thing with rice Millers, they have more than enough in stock, which means that we don’t need to import paddy of milled rice”, Goronyo added. Also, Rice Millers have described smuggling as a major challenge confronting rice production and its business in the country. The National President of Rice Millers, Muhammed Abubakar Maifata says smuggling is capable of crippling rice business in the country. He appealed to Nigerian Customs and other security Agencies to come out with other strategies that will address the menace. “Smuggling is our major challenge, rice keep on coming through land borders despite the fact that government has banned importation through land borders”, Maifata says.